The EU ETS is the world’s first and biggest emissions trading system based on the cap and trade concept. In operation since 2005 it controls the greenhouse gas emissions of more than 11,000 installations. The revised EU ETS Directive, which will apply for the fourth period from 2021 to 2030, was designed to meet the reduction target for 2030 by reducing emissions by 43% compared to 2005 levels. 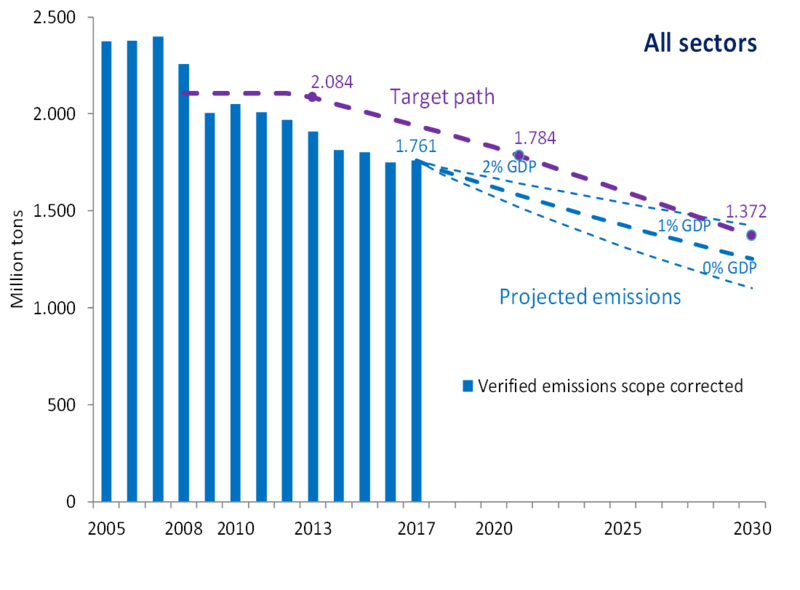 Actual emissions were up to now below the target path, i.e. the cap was not be binding. Depending on economic activity as measured by GDP, this unintended situation might continue over the next years. The supply of allowances reflects both free and auctioned allowances. 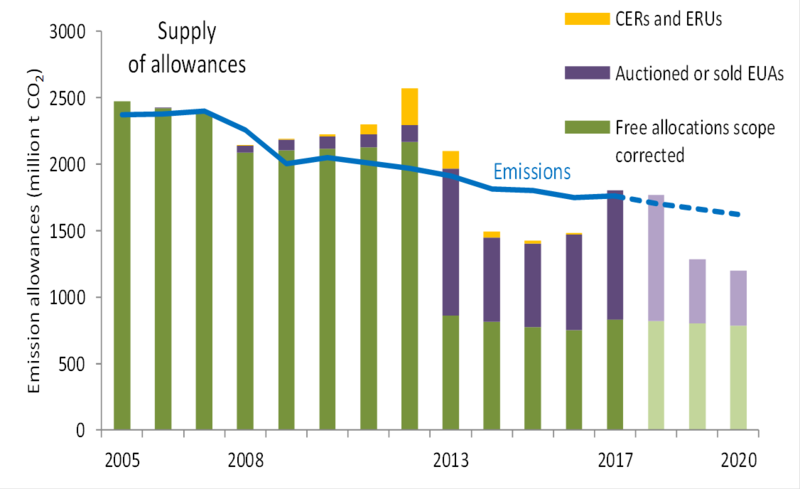 Since supply exceeded up to 2013 considerably actual emissions., measures as the Market Stability Reserve mechanisms were introduced to eliminate this surplus.